Liqueurs is a funny category. Many of you may not realise how much liqueurs you can consume in a life-time. Cocktails, after-dinner, pre-dinner, coffee, hot chocolate all could have some kind of liqueur to usually sweeten up or emphasize a flavour. They can be seen on bars around the world but rarely would you point one out and know what flavour it’s going to unleash. Well if you see the following – I’ll ask you to tip your hat. First bottled in 1892, but produced some time before, Mandarine Napoléon was said to be a personal favourite of the Corsican-born emperor, Napoléon Bonaparte. Napoléon’s physician, Antoine-Francois de Fourcroy, first had the idea of macerating mandarins in alcohol and then blending the distillate with cognac. The finest essential oils of mandarins and its distinctive flavour comes from Sicilian oranges. Four spices, rich in essential oils and aromatics, and two plants achieve this unique composition of flavours, with the colour drawn from these giving the spirit a natural look. Due to the status of mandarines being rather exclusive, and able to thrive on the Corsica island of home-boy Napoléon Bonaparte. It is believed that he acquired the taste for the macerated mandarines served to him by his physician. The liqueur as we know it today started out in 1892 after being refined according to a recipe with cognac, mandarin orange peel from Corsica, Sicily and Andalusia and a secret mix of herbs and spices. It was then matured for three years. The recipe hasn’t changed and is now sold world-wide and winning awards along the way. Fantastic fresh, ripe mandarin aroma on the nose that carries on nicely onto the palate. Incredible sweetness but hit with a bold, warmth of fresh fruit and citrus as it draws out. Just 2000 bottles of this were produced in 2008. Mandarin peels are macerated and blended with the 27 herbs and spices that make the Mandarine secret recipe. 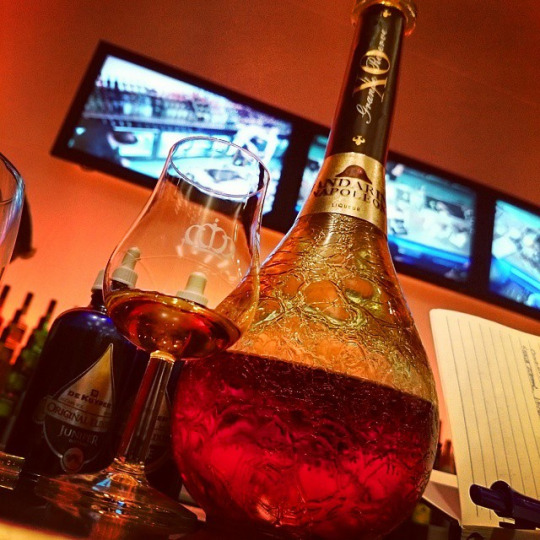 The resulting distillate is then combined with Grande Champagne XO cognac (which makes up a generous 43% of the total) to create this Grande Reserve. Light and fragrant upon the nose, with soft notes of the mandarine coming through. Sharp and rich once on the palate, with plenty of long, warm manadrine flavours on the finish. Exquisite. Place one brown sugar cube into a glass and muddle with the bourbon. 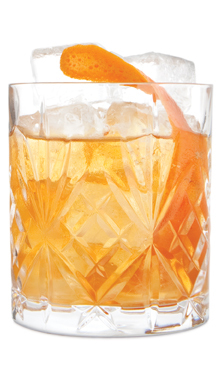 Add two splashes of Angostura Bitters and the Mandarine Napoléon with a good scoop of ice and stir well. Garnish with a mandarin peel twist. Something easily created at home or in any bar that stocks a decent bourbon. Better get hunting. Bring a Napoléon styled hat too. be one of the best all round forms of exercise. For more information you can visit here, or add +Dr Ahnsup Kim in your circle.